Verifide Technologies, Inc. is a software company founded in 2006 and based in Silicon Valley, CA. We provide the software framework and tools that test organizations need to build systems faster, analyze and sell-off data with confidence, and improve yield and performance through metrics. At Verifide, we have helped companies that struggled with the economics of developing, operating, and supporting test system software. Our software has helped these companies adapt to the higher device complexity, increased test requirements, and shorter schedules that have become the new normal in production. Our COTS software solution has been field-proven in high-technology and mission-critical production systems since 2006 in various industries including Aerospace, Satellite, Wireless, and Wafer Test. Test systems are just the tip of the iceberg! 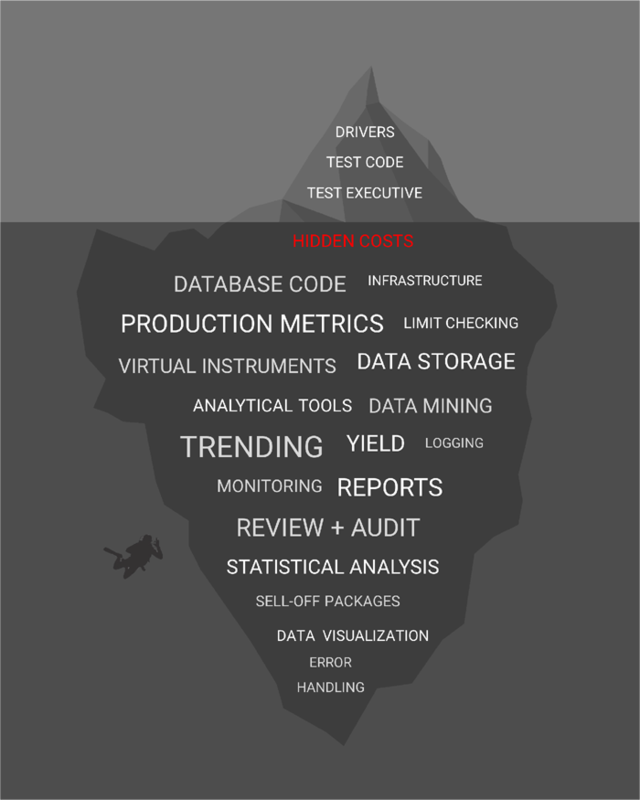 Test organizations are drowning in the hidden costs and pains of dealing with test data and software infrastructure. Verifide provides an out-of-the-box, complete, dynamic software platform for all your test operations. Supports NI LabVIEW, NI TestStand, ATEasy, C#, C++, Visual Basic, Matlab, and Python. Slice and visualize data anyway you want and identify trends. Easily overlay and correlate swept data plots across tests. Get birds-eye views of data and performance with drag-and-drop ease. Create data distribution plots, production metrics and more! The flexibility of flat files with the power of a database. With our Dynamic Database, you'll never need schemas, SQL code, or a DB admin,Ever! Add our data solution to your system without changing your existing test code! Have full traceability of your execution environment with activity logging, data logging and strip charts.Protect your device under test with audible larms and events that can automatically perform safety shutdowns with no operator intervention needed. Simplify the setup of test sequences, parameters, and limits with our unique table-driven approach. Our parameter matching engine minimizes repetitive data entry in setting up your test executive. Use our modular and distributed platform to build powerful test systems quickly. Continue to use the development platform you're already using. We support LabVIEW, TestStand, ATEasy, Python, C# and .NET, and MatLab amongst others. Command and control tests, drivers, and components across the network; re-use and share them across projects and systems. Isolated interfaces allow you to easily swap instruments without changing test code. Plus, you have full control of the code that you plug into our framework! -What is the problem we are solving? -How do we solve this? -What is the secret sauce? Slice your data multiple ways with our data visualisation and statistical tools. -Types include: Strings, Arrays, Tables, Images, etc. Sequence, monitor, and manage complex executions and test services. Powerful developer support with infrastructure to make your life easy. Use our table-driven test approach to manage parameters and configurations. Emergency Warning Systems (EWS) is an Australian business based in Melbourne that has developed innovative and commanding radio break-in technology for warning and alert message dissemination. As a small business, they did not want to re-invent the wheel and found Verifide's platform perfect to get their production up and running quickly. EWS was able to focus on implementing their tests while leveraging our software platform for all their execution and data analysis needs.